WordPress 4.7, named “Vaughan” after jazz singer Sarah Vaughan, is due out sometime today, December 6, 2016. This will be the final version released in 2016 and is packed with new features and updates. Here are some of the features you can expect to see with the new version. This new theme is actually a very positive addition and gives some promise for those who have been disappointed with default themes of the past. One of the difficulties for users who aren’t knowledgeable about web design or WordPress savvy when selecting a new theme is the extreme frustration in getting the newly installed theme to the same state as the demo theme. With Twenty Seventeen, users are able to install starter content to have a much easier time setting up their website. The Twenty Seventeen theme will also include video headers, which for the most part have been exclusively available on commercial themes. You can upload and use your own videos in mp4 format, or you can use YouTube and Vimeo videos by entering the video URL. Twenty Seventeen is a business focused theme, giving small business users a great non-commercial theme option for their business. In the theme customizer, you will notice a different view of your installed themes, improvements for theme search, and improvements in the theme customizer setup. One of the biggest enhancements is the addition of custom css changes in live preview. One thing to note is that the changes you make in this area will only be applied to your currently installed theme. This feature is not recommended for users who either change their theme frequently, or are planning on changing their theme in the near future. 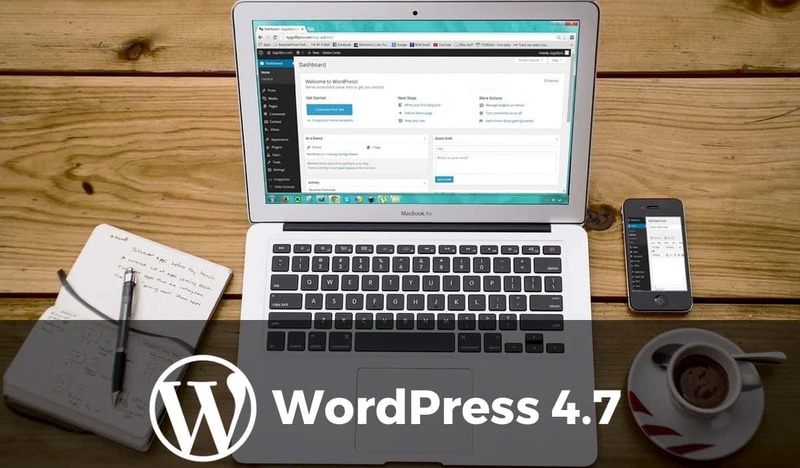 WordPress 4.7 allows users to switch the admin language directly from their user profile, so you could have users with different language settings on the same website. The appropriate language pack will need to be installed for each of the different languages you wish to offer as an option for your users. The paragraph and heading selector menu now appears in the top bar. The strikethrough and horizontal line buttons have been moved to be visible only with the kitchen sink bar applied. The underline button has also been removed from the editor. WordPress 4.7 also includes keyboard shortcuts in the tooltips and drop down menus. One change that is great for those that use a lot of PDF’s within their website is the addition of thumbnail previews for PDF files. The preview will be a thumbnail of the first page of the document. These thumbnails will be visible from the media gallery, as well as on the attachment pages. In WordPress 4.7, you will be able to apply multiple custom post types to a single custom post type template.